This article is part of Morningstar's "Perspectives" series, written by third-party contributors. 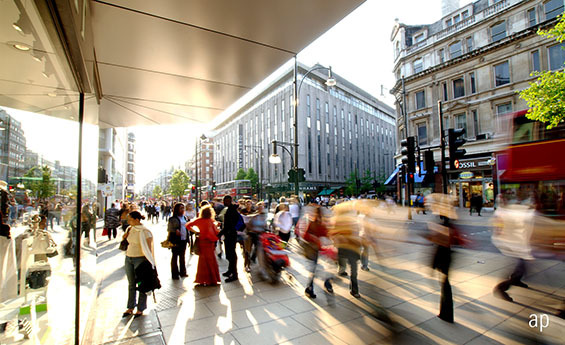 Here, Camilla Ayling, equity analyst at Rathbones gives her outlook for the retail sector. Retail stocks face intense structural and cyclical challenges. As a result, analysts were hardly bullish heading into the post-Christmas results season for retail stocks last month. But it wasn’t all bad news. One of the main themes emerging from the reporting was the divergence between consumers’ spending on food versus non-food. On average, food retailers posted resilient performances, with the largest supermarket Tesco (TSCO) outperforming its listed competitors over the important Christmas trading period. In the main, the non-food retailers struggled to attract share of the consumer wallet, perpetuating the shift to entertainment-led leisure over retail therapy, evident in credit card spending data. Furthermore, the most recent period has called into question the sustainability of growth and profit at the online pure-plays, with ASOS (ASC) and boohoo (BOO) underperforming the sector in price terms over the last three months. What Next for Retail Stocks? Looking forward, political pressures are likely to have economic ramifications. Across the pond, despite being currently suspended, the longest US government shutdown in history may present a near-term headwind to retail. Why? There is potential for consumer confidence to waiver from the uncertainty sparked by news coverage. However, even more significantly, shutdowns can result in US consumers having less money in their pockets to spend because the Internal Revenue Service (IRS) takes longer to process tax refunds, which consumers tend to direct towards retail purchases. On top of this, Federal employees do not receive their pay cheques during shutdown periods. The consequences of these factors will certainly be a consideration to watch for when American retailers, and UK retailers with US sales exposure, report in the coming quarters. It is also important not to lose sight of the fact that the retail industry’s performance has implications for other areas of investors’ portfolios, especially real estate. On the negative side, it is becoming increasingly difficult for struggling bricks and mortar retailers to meet their property rental obligations which were set in more comfortable periods. Reasons for this include lower shopper footfall due to a higher percentage of sales moving online. Also, cost inflation is rising and these store-based retailers have a higher burden of business taxation compared to their online peers. Ironically, although 2018 saw fewer retail companies failing than 2017, the former was the real annus horribilis for commercial real estate because the number of stores affected was the highest in six years. This has negative consequences for landlords due to administrations and Company Voluntary Arrangements (CVAs), resulting in reduced rents, lower tenant demand and increased vacancies. This is why the real estate companies with the largest exposures to retail are trading on the widest discounts to asset values. These might look attractive at first glance but valuations could be behind the curve and yet to reflect reality, leading to further write-downs. On the positive side, the structural growth in online retailing has resulted in more demand for industrial real estate to warehouse stock, and act as hubs for deliveries. Rental growth, a good indicator of demand for property assets, is close to all-time highs for these large industrial sheds. Hence it is no surprise that the logistics-focussed real estate stocks have been among the best performers in the sector. Having said that, supply of industrial sheds has overtaken the take-up rate for the first time, which calls into question whether the market is peaking. What is becoming increasingly obvious in real estate is that equity valuations are being driven by the divergence between sub-sectors. In comparison to the retail exposed stocks mentioned above, of which some are trading at 40-50% discounts to asset values, logistics exposed stocks are trading at far narrower discounts, and in some cases premiums. That is why it is crucial that investors check under the bonnet to make sure they are aware of and comfortable with the underlying exposures their REITs offer.